Australian Foreign Minister Julie Bishop met with her Japanese counterpart, Taro Kono, and US Secretary of State Michael Pompeo in Singapore over the weekend for the eighth Trilateral Strategic Dialogue (TSD). 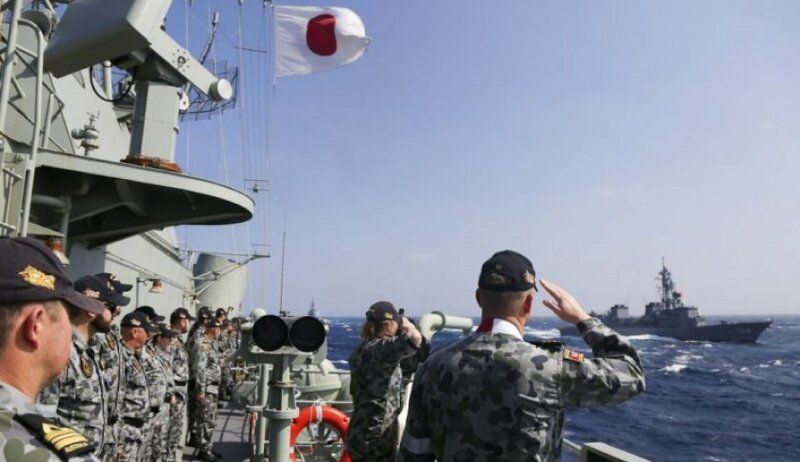 Commitment to increasing the co-operation between Australia, Japan and the US in the Indo-Pacific. As part of the trilateral agreement, each of the representatives reaffirmed the commitment to working together "to maintain and promote a free, open, prosperous and inclusive Indo-Pacific region". Building on the apparent success of the US-North Korean Leadership summit from earlier in the year, the respective representatives reaffirmed their commitment to ensuring that North Korea continues to uphold its commitment to "full de-nuclearisation, ending human rights violations and abuses, and to immediately release all foreign nationals currently being held by North Korea". With the growing militarisation and competition in the SCS, the US, Japan and Australia reaffirmed growing concerns about the land reclamation, construction and militarisation of disputed features and called on all parties to embrace the United Nations Convention on the Law of the Sea (UNCLOS) and fully respect freedom of navigation and overflight and other lawful uses of the seas in the SCS and around the world. To strengthen parties’ commitments to cease actions that would complicate or escalate disputes. The implementation of confidence building measures, supported by co-ordinated capacity building programs. Additionally, the ministers agreed to deepen practical co-operation to "better deter, mitigate, publicly attribute, and counter malicious cyber activity, and provide clear and consistent messaging of the consequences of such activity. The ministers resolved to continue to call out unacceptable behaviour in cyber space". The growing threat of terrorism was also a key area of focus for each of the members, who discussed ways to jointly counter terrorism and violent extremism, including through trilateral counter-terrorism consultations. This includes protecting soft targets and countering terrorist financing. The ministers resolved to advocate for and strengthen existing information sharing mechanisms, and to combat the flow of foreign terrorist fighters both to and from conflict areas. The ministers also expressed their concerns regarding the potential for ongoing violent extremist activity in the southern Philippines. They urged increased co-operation in the Indo-Pacific to counter such terrorist activity and pledged their continued support for these efforts. The full Trilateral Strategic Dialogue joint statement is available here.